Bucks County Show has been running over 140 years & has become an iconic event for Bucks, its residents & those who travel from other counties. However, they continue to support fox hunting with dogs by inviting the local hunt each year to carry out ‘demonstrations’ whereby they are actively supporting & encouraging this barbaric bloodsport. With an overwhelming majority of the public believing this ‘past time’ to be completely barbaric and unnecessary, considering it an out of date tradition that is out of touch with modern society, I and several others have approached the organisers of Bucks County Show and asked them to explain why they feel it’s justified to have the local hunt present. In doing so they are deterring the majority of the public that are against hunting with dogs. The organisers of Bucks County Show have given us a generic response that the committee would consider our comments after the show. This is unacceptable. After the show, they will have already actively supported an act that is not socially acceptable to the majority. The promotion of fox hunting through performances and displays of hunting dogs must be cancelled before the Bucks County Show begins on Thursday 27th August 2015. Please join me in voicing your disapproval of the local hunt with dogs being present at Bucks County Show 2015 and in all future shows. It’s time the majority were heard and fox hunting was treated with the contempt it deserves. 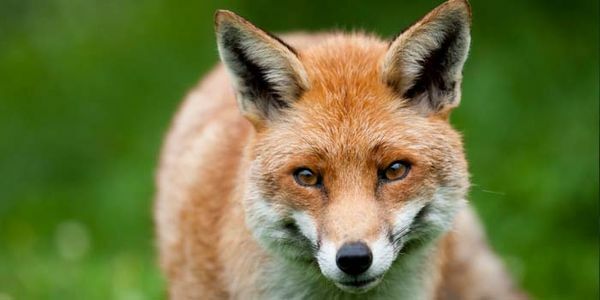 In a recent poll, 80% of the British population do not want a repeal to the Hunting Act. This Act makes hunting foxes with dogs illegal. However, hunting with dogs continues, under the guise of following an artificial scent but it has been proved that in many cases, the hounds pickup the scent of a real fox, which they subsequently chase terrified to its death of being torn to pieces! The fact this is illegal is often ignored & the law is not being sufficiently enforced!